Moving offices is one of the things a company does once in a while, more so, if a firm just started or does not have plans of scaling up in the near future. However, for a huge company that has several stores, moving offices is common from time to time. This activity is quite daunting since there are a lot of activities involved during a move. A firm that is planning for a move has to consider crucial activities such as office furniture liquidation and how they can recycle office furniture. These are some of the activities that should be considered so as to avoid disposing used cubicles and furniture on the landfills. This is one of the smartest ways of going green in your new office. Instead of using paper from virgin fibers, buy print papers that have been made from recycled fibers. By using recycled paper, you are saving a lot on what would have been used on trees, water and energy. This also helps prevent air pollution since it needs less energy to produce. Statistics from Environmental Defense and Conservatree stipulate that it takes approximately 24 trees to manufacture a ton or 2000 pounds of virgin printer paper. Other reliable studies also show that Americans use 14 million tons of printer paper each year. This translates to 93 pounds of paper per person in the US. The amount of paper used also varies from office to office. Some firms use more and others use less. You can minimize this huge consumption by using recycled paper for printing. Consider getting office supplies that have been made from recycled materials. For instance, get pens that have been made from recycled bioplastics and plastics. You can also buy pencils made using certified wood sourced from forests that are managed sustainably. There are also paper clips, mouse pads, and other supplies that have been made from recycled material. Some scissors that have recycled plastic handles are also available. One of the simplest tasks you can do during a move is to declutter the office. This simple task will help conserve energy that will be used when moving the office. It also helps reduce stress during your move. Office furniture is a major pain during office moves. In most cases you have to replace your used furniture and this is a major challenge. There are various options for your company for the used furniture; you can swap, liquidate, or donate, reuse your furniture. 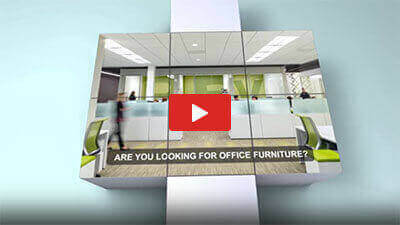 Office furniture liquidators offer green solutions to firms that are down-scaling, dissolving, or up-scaling and needs to rid office furniture. They acquire huge quantities of furniture in excellent working condition then determine a reasonable price for the items. Donation of used cubicles and furniture is another great way of going green on your office move. You can donate the items to non-profits, churches, or schools that will find the items useful. This is another simple idea for your green office move. Print on both sides of the print paper instead of one side. This will not only eliminate unnecessary costs as a result of paper wastes but will also have a positive impact on the environment. You can use printers that allow double-sided printing and if they lack the feature, try to figure out how the printer prints then print on one side then turn the other side and print the second page as well. This is another great way to go green on your new office move. Office electronics require some serious consideration during a move. You either dispose these items or move them. According to reliable statistics, about 70% of electronic waste ends up in the landfills. Instead of throwing away used electronic supplies, you should consider recycling them or contact firms that recycle them. There are various stores that take used ink and toner cartridges. They will even offer free paper or discounts when you make future purchases in their stores. The main advantage with used cartridges is the fact that they are valuable to companies and recycling organizations. You can even donate used cartridges in support for a good cause. Carry out your research so as to identify some of the organizations that collect cartridges that are donated. PCs and other peripherals such as scanners and printers consume energy even when they are turned off; referred to as idle current and can eat up to 40% in power consumption. The use of Smart Strip power strips helps sense when the computer is switched off, and then turn off automatically those peripherals that are connected to the computer. They also offer exceptional surge protection and filter line noise. Whenever you do not use your computer, put it in energy-saving mode by setting it to sleep. The US Department of Energy has stated that; turning off your computer when not in use can save up to $186 in electricity consumed and reduce carbon dioxide emission by about 1-1/2 tons. One important point to note is that screensavers do not save energy the way sleep mode does. Desktop computers consume more energy when compared to Laptop computers. It is estimated that a laptop takes up about a quarter of what a desktop consumes. Your green office move should never be daunting. Clear Choice Office Solutions will help you put in place the best strategies for going green. To get more information on various go green strategies visit https://clearchoiceos.com/.